"What would the most delicious nail salon in all of the land be like?" It would be a place to get superior, non-toxic nail care in a hyper-clean environment. It would be a place to gather, and both unwind and re-energize… make new friends and connect with old ones. And it would be a place that gives back to the communities it serves. And that is when the nailsaloon was born. 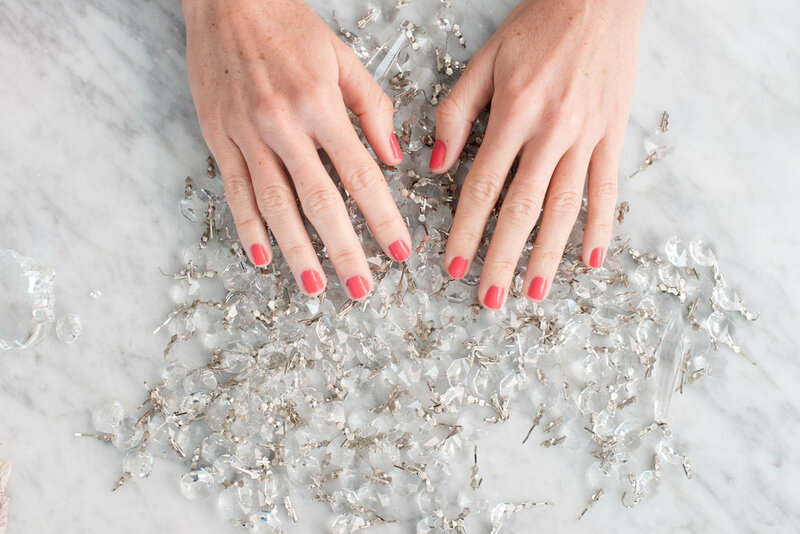 We love healthy nails, so our salons are what we call 5-free+. This means we only use 5-free (or greater) nail color. What’s 5-free? Excellent question. It's polish without Dibutyl Phthalate, Toluene, Formaldehyde, Resin or Camphor. This also means: no gels, no powders, no acrylic, no glues. No joke. We are obsessed with keeping it clean. It's why all our tools are single-use, or have been medically sterilized. We could practice surgery with our clippers. Not that we would, natch. We love the smell of flowers… but you won’t even smell those here. We keep our salons scent-free, by using high-tech source ventilation, with vents as strong as a horse pulling a buggy. Minus the smell of the horse. Of course. Claudia and Andréa are longtime friends who always dreamed of ditching corporate America to have a business of their own. In the spring of 2013, after outlining dozens of business ideas on the backs of napkins and envelopes, they had a life-changing phone call. Andréa, a former journalist and television producer, was in Seattle, getting her toes done at a less-than-optimal nail salon. Claudia, a business development strategist at a satellite company, was in DC, stuck in rush hour traffic. As their phones cut in and out, they lamented their fate and agreed this conversation would be better had side-by-side and over a cocktail. In 2014, they opened the nailsaloon, where they can do just that: sit together and enjoy a scrub and foot massage, while they catch up on the business and everything that isn’t work-related – which they vow to do on the regular. As for polish, Andréa loves all nudes from their signature O by nailsaloon line of varied skin tone colors, while Claudia prefers short, dark nails from their “almost black” palette. When at the nailsaloon, their drinks of choice give a nod to their South American homelands. Claudia, who is from Argentina, loves herbal tea while Andréa, from Brazil, sticks to coffee every time she sits to get her nails done. Having started her career in media, Justine’s always had a penchant for people: talking to them, learning their stories, and connecting them to others. At the nailsaloon, she oversees the client experience, ensuring clients are properly pampered. She is also the mastermind behind events. Justine loves any polish with glitter and her favorite drink while in service is strong coffee, piping hot. A first-generation college graduate, Amanda wanted a chance to excel at what she does best: helping others fulfill their potential, and making a difference in the day-to-day of those around her. At the nailsaloon, she oversees the team experience, focusing on creating a healthy, fun and caring work environment. Amanda loves Mandy, her namesake color from O by nailsaloon and enjoys green tea when getting pampered. We believe in strong women, strong men… and naturally, in strong nails. But our biggest belief is in strong communities. In that spirit, we concentrate our giving in support of two organizations that promote community empowerment. The DC Coalition for the Homeless assists local individuals and families, who have become homeless, to fulfill their potential for economic self-sufficiency. If you want to join us at the Coalition's Annual Fundraising Gala (our whole team attends! ), reach out and ask them how you can #stepoutwiththesaloon, and join us for a night of dancing for a good cause! MentorPrize is a connector that recruits mentors and matches them with Washington, DC, area mentees — from at-risk youth to teen parents — to help build rewarding connections. 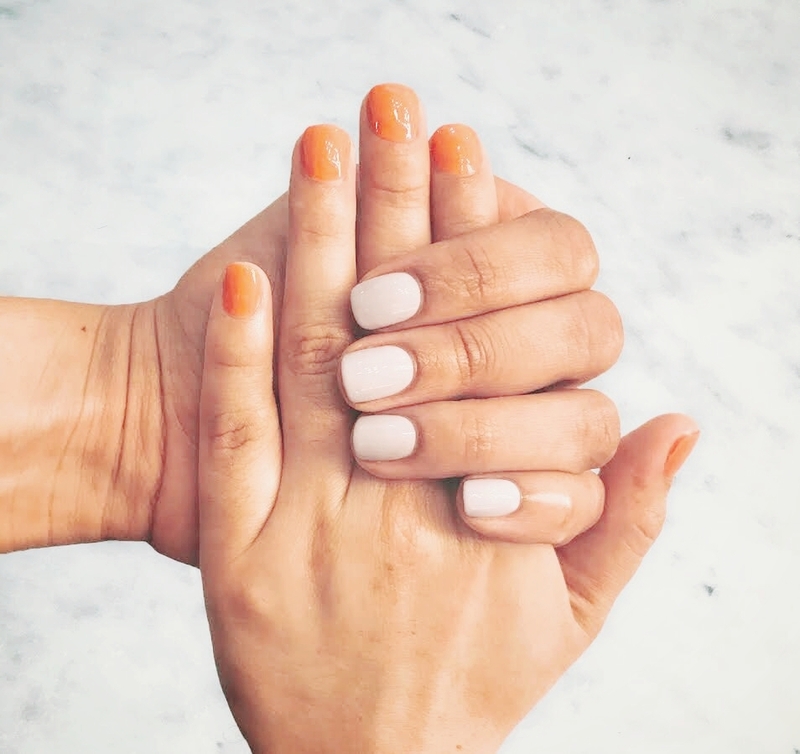 If you want to become a mentor, tell them the nailsaloon sent you… and ask them about #manisandmentoring, to see if you (and your mentee) can earn a mani, on us!